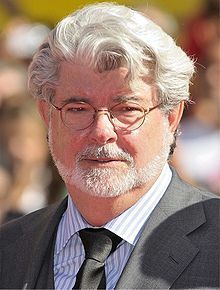 Star Warscreator George Lucas said Monday that Hollywood studios refused to back his new film Red Tails – about World War II’s Tuskegee Airmen – because the cast was all black. For those not familiar, the Tuskegee Airmen were a group of black pilots that fought in WWII segregated from white forces. Lucas told Stewart he’s been working on the film for 23 years. Although paying for it himself, he went to the studios to create the prints, ads, and be responsible for distribution. Sadder still was how Hollywood balked given the message Lucas was trying to convey. Just remember that the next time some movie star or film director calls Republicans or members of the Tea Party racist.